The cafe was born after a collaboration with leading figures in each field. We offer you not only the quality and taste on the menu, but also a close connection with relaxing time, other visitors, and our brand Bosch. 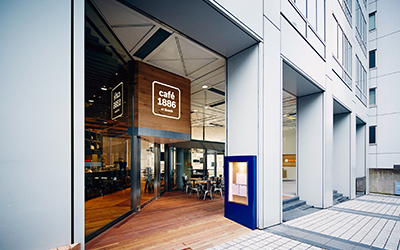 cafe 1886 at Bosch is created by Bosch, a leading company from Germany since 1886.